Lucas Rage, the King of Counterfeit, has once again made an amazing discovery. This time he discovered a variant Future Strength card. 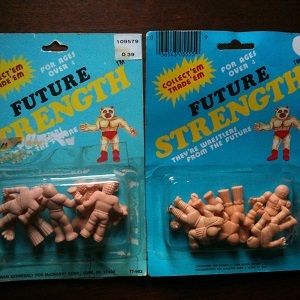 Lucas was able to acquire two packages of carded Future Strength figures. The first one was identical to the Auction Watch #100 one he had bought years ago – same figures and everything. However, the second one is quite different. The most immediately noticeable difference is the darker blue coloring. An attempt to argue that the color variation is due to fading, but the black and yellow lettering is not faded. The variation appears 100% authentic. The second difference is that the figures are different. A variety of figures in different packaging is easy to assume, but that is not always the case with counterfeit figures. With so few carded examples of Future Strength this type of discovery is very exciting. 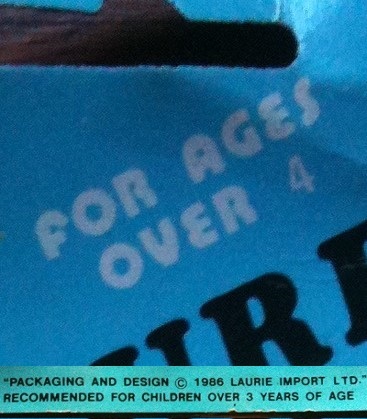 Did they originally forget the barcode? Did a “bootlegger” remove the barcode? Could it have been regionally released by different companies? Obviously those are two significantly different pieces of information. 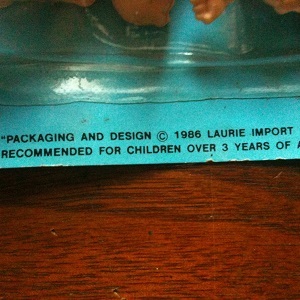 I doubt the 1986 copyright is true. 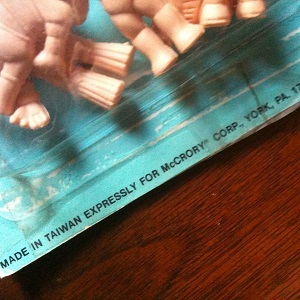 I truly believe these figures were rushed to market after the success of M.U.S.C.L.E. figures. I believe the 1986 copyright was meant to be a “hey-we-released-it-at-the-same-time-you-can’t-sue-us” defense. As a super nerd for these types of discoveries I loved all of these very cool variations. However, my favorite part of the newly discovered card is a hilarious lack of oversight. More accurately it could be described as evidence for absolutely zero care, pride, and/or work ethic for this product. 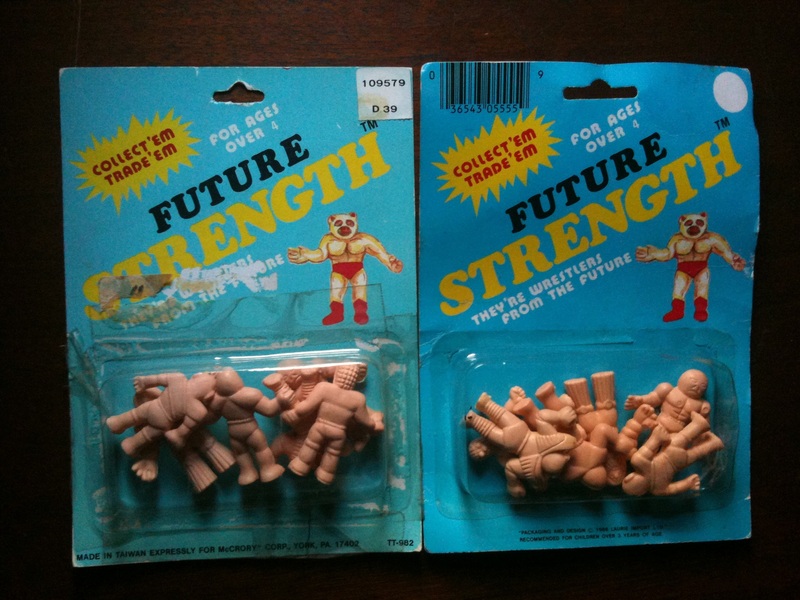 If you have any Future Strength figures or packages to add to the archive, then please email a high-resolution picture to the University of M.U.S.C.L.E.. Please take the picture on a white background. Thank you! This entry was posted on Thursday, September 29th, 2016 and is filed under Art, Research, UofM News. You can follow any responses to this entry through RSS 2.0. You can skip to the end and leave a response. Pinging is currently not allowed. I wonder if he bought those 2 from me? 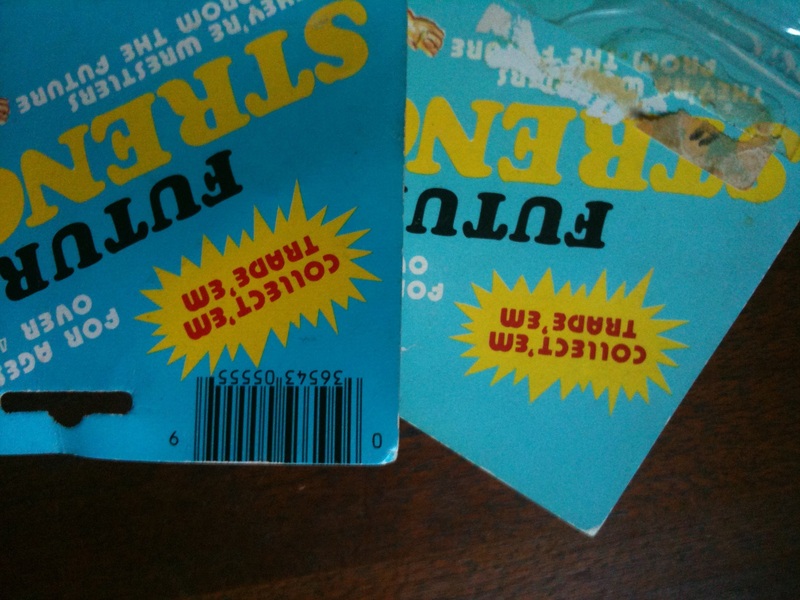 I sold 2 different carded Future Strength figures on Ebay. 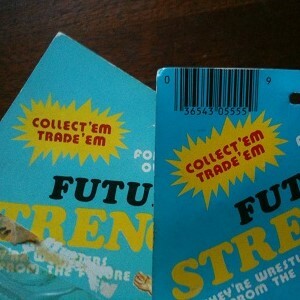 If they are from my auction, I can tell you I picked up 3 on card Future Strength figure sets all from Puerto Rico.